Farmers across the Central West of New South Wales will have an exciting opportunity to hear and discuss first-hand the latest developments in the cropping and livestock industries when a two day forum and farm tour is held in Forbes.The Agribusiness Today Mixed Farming Forum on Thursday 13 August will look out over the horizon at options and opportunities in an ever changing agricultural environment and how farmers may embrace new technology. The Forum will be followed by a livestock and cropping field trip on Friday 14 August.Senior lecturer in agribusiness at Charles Sturt University (CSU) Dr Karl Behrendt said the forum and farm tour will showcase current prices and market information for crops and livestock but also provides some forward thinking about the future possibilities for agriculture in the region. "We're examining how to remain profitable in an ever changing cropping and livestock environment, and also offering an opportunity for grain producers and graziers to hear first-hand about the latest innovations in their industries," Dr Behrendt said. "It's also hands on with the second day allowing producers to venture into the paddock to see how some of these innovations are being put into practice on farms.The Forum will bring together a range of speakers looking at diverse issues such as tropical grass in a central west environment, future technologies in mixed farming systems, the current state of play for grain and livestock markets, the influencer's in these markets and the outlooks.The field trip will travel to the Wirrinya Trial site to examine lime and stubble projects, cereal and canola trials and managing mice in crops. The focus will then turn to the Mattiske's shearing shed to focus on developing more efficient livestock management systems.The event is being organised by CSU, Regional Development Australia Central West, Central West Local Land Services and Central West Farming Systems.Further information, including the program, can be found here. Staff from Charles Sturt University (CSU) will provide support to current and prospective students in Griffith NSW from Monday 22 to Wednesday 24 February.Acting manager of CSU Outreach Mr Peter Greening (pictured) said a range of CSU support staff will be in Griffith creating a 'pop-up university' to promote and support students and parents to engage with higher education. "Charles Sturt University has had a long association with Griffith and it is important for us to provide support for people in towns and communities in the region," Mr Greening said. "Our staff will work with high school students in Years 7 to 10 in a series of fun and interactive workshops that encourage them to see university as an achievable option leading to desirable careers. Staff will also work with senior high school students, discussing the courses that Charles Sturt University has available for them. Two parent and community information sessions will also be held at the TAFE on Monday evening at 6pm, one for parents of senior students, and one for parents of students Years 7 to 10. "Current CSU students can make a booking for the group orientation session at 5.30pm Tuesday 23 February at the Griffith TAFE campus. Visit bit.ly/csu-outreach to book. The CSU visit coincides with a CSU art collection exhibition '2006-2016: A Decade of Printmaking' at the Griffith Regional Art Gallery until Sunday 6 March. New students will kick start their university degrees by attending Orientation Day at Charles Sturt University (CSU) in Wangaratta this week.Students studying Agricultural Business Management, Agriculture, Horticulture, Wine Business, Education (Birth to five years), and Veterinary Technology will gather at the CSU Wangaratta Regional Study Centre on Tuesday 17th February 2015 from 10.30am to familiarise themselves with the facility and meet academic staff. "Orientation Day is an opportunity for new students to meet up with fellow students at the start of their course to make important connections," Wangaratta Centre Manager Ms Robyn Farley said. 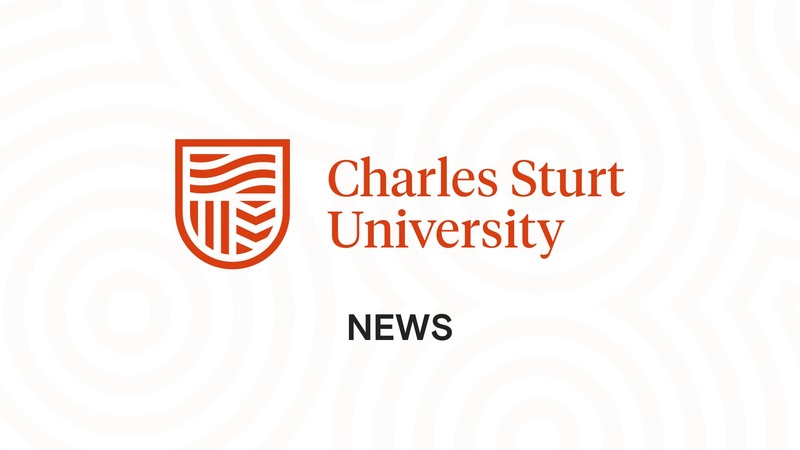 "They can acquaint themselves with Charles Sturt University's services which can assist them in their study including the library and academic study support. They'll also be experiencing all of the Wangaratta facilities first hand. "2015 will be the first year of the Bachelor of Veterinary Technology with over 70 students commencing in the inaugural cohort. The Veterinary Technology course is an integrated degree and a joint project between CSU and GOTAFE.Construction of the new CSU-GOTAFE facility on Tone Rd, Wangaratta was completed late last year.Over 2,600 new on-campus students will be welcomed to all CSU campuses for semester one. The first Charles Sturt University (CSU) students to complete a Master of Islamic Studies are preparing to graduate at a ceremony in Parramatta on December 14. The course is delivered through CSU's Centre for Islamic Studies and Civilisation (CISAC), which was established in 2009 in collaboration with the Islamic Sciences and Research Academy (ISRA). Centre director Associate Professor Mehmet Ozalp said the graduation was a significant achievement for the students, and the whole CISAC team. "We could not be more proud to achieve such a milestone, it means a great deal to us and the Muslim community of Australia," he said. "This is a historic moment for Muslims in Australia. They can now study Islam as a faith tradition in an Australian University without having to go overseas for study. "I know the University's staff and students, and the wider community, join me in congratulating our graduands and wishing them every success in their future endeavours." Musician Mr Tommy Emmanuel will receive an honorary Doctor of Arts from Charles Sturt University (CSU) at an Alumni event at the Australian Museum in Sydney on Wednesday 27 November. Mr Emmanuel was born and raised in CSU’s footprint region and is an internationally renowned guitarist. He has strong connections to rural and regional communities. The event will also feature guest speaker and CSU Alumnus Mr Michael Ebeid. Mr Ebeid is Managing Director of SBS Broadcasting and has more than 24 years experience in senior management and executive roles across the technology, telecommunications, and media industries. Guests will sample CSU’s award-winning wines and receive complementary access to the Tyrannosaurs – Meet the Family exhibition from 5pm to 6pm. CSU Vice-Chancellor and President, Professor Andrew Vann, said the event is a great opportunity for CSU’s extended community to hear what is happening at their University. To say the odds are long when it comes to the chance of winning the largest lottery draw in Australian history on Tuesday 30 June is an understatement. Professor Nick Klomp, Dean of the Faculty of Science at Charles Sturt University (CSU), puts the chance of winning the jackpot in the $90 million Oz Lotto draw next week at one in 45 million. “If you want an even chance to win the first division just once in your life, you would have to buy a 10-game ticket every single week of your life, even when a baby,” said Professor Klomp. However the CSU academic adds “oh, and you’d have to live to be over 87 000 years old”. “You are much, much more likely to die from being struck by lightning than pick the seven winning numbers by playing a single game next week.” Professor Klomp usually advises people to keep their money in their pocket. He sees lottery tickets as voluntary taxes for people who are lousy at mathematics, but the size of this jackpot makes it worth thinking about.“In any normal week, the best way to be a winner is to put the money you were going to spend on lottery tickets into a savings plan,” said Professor Klomp. “However a $90 million lottery is not normal. As soon as the first division prize goes over $50 million, the potential payback becomes worth the investment. It doesn’t increase your chances of winning; it just makes it mathematically more sensible to buy a ticket.” Professor Klomp is keen to point out that all of this assumes that if you win the jackpot, you aren’t sharing it. “You need the potential payback to be at least 45 million times every dollar you spend. So long as you don’t think it’s an investment and you get your money back in fun, then go ahead and enjoy yourself,” advises Professor Klomp.